Taste profiles from bacon to mango (plus complex combinations) can be created by custom flavor companies. Bacon. The mere mention of this savory meat makes your mouth water. It is one of many popular taste profiles from custom flavor manufacturers, who specialize in innovations for the food and beverage industry. Whether you seek a simple fruit flavor, like mango, or a complex innovation, like French Toast, there is a flavorist with the capacity to create it. The possibilities, and applications, are endless. According to Gold Coast Ingredients (www.goldcoastinc.com), which has been formulating custom flavors since 1985, collaboration is key to the custom flavor process. "Our sales representatives work closely with their clients to listen to their needs," gathering information on the desired application, including the type of production process the finished item will require, says Michele Trent, corporate sales manager of the Commerce, Calif.-based company. Stores such as Whole Foods and Trader Joe's have special guidelines that impact all ingredients, including flavors, she notes, while products to be sold in international markets may have regulations mandating that they be EU-complaint or Halal certified. "With this information, our team of flavor chemists will develop the appropriate flavor," Trent says. Gold Coast has produced flavors ranging "from A to Z," she continues. These include meat (such as bacon) dairy and fruit flavors, in liquid, plated and spray-dried formulations, as well as those that are organic, natural, artificial and N&A in nature. Flavorchem Corp. (www.flavorchem.com), Downers Grove, Ill., has been developing custom flavors since 1971 for all food & beverage segments and, more recently, for nutraceuticals and functional products. "Flavorchem works with a diverse range of customers, and no two are exactly the same," says Marketing Manager Ed McIntosh. "The first step is to discuss project specifics, such as application(s) and cost parameters. From there, flavor development is determined by whether the customer already has ideas or is looking for some inspiration." Flavorchem monitors trends and performs market analyses to identify flavors that are popular, up-and-coming or losing traction among different segments, he notes. The company shares that information with customers. "Flavor descriptors are a very important aid toward achieving a common understanding of the flavor a customer wants," says McIntosh. "Customers are often on site, working with our R&D team, providing immediate and clear feedback. This approach almost always ensures successful outcomes." A recent introduction is a line of Hispanic flavors inspired by desserts, fruits and beverages from Mexico. One of the newest additions is Baja Cacao Cake -- a blend of yellow cake, strawberry and chocolate. The company also developed a topical French toast seasoning for rice chips "that tastes exactly like the caramelized crust of French toast," he says. At Wild Flavors (www.wildflavors.com), Erlanger, Ky., the process begins with "laying the foundation of what the customer desires and their expectation of the flavor, including such attributes such as type, legal status, country distribution, etc.," says Senior Flavorist Kathi Sparks. "I want to know the image the customer wants their product to achieve -- sophisticated or an indulgent/adult profile or a fun/children's-type product. The finished application and the processing parameters that the product will go through are also discussed, then the fun of developing a custom flavor begins." Interesting combinations from Wild Flavors include Passionfruit Lime Mimosa, which has a more tropical sophisticated connotation than the typical mimosa profile, and Twisted Peach Bellini, which offers the traditional refreshing white peach and prosecco profile, but with darker notes of red wine sangria that add a slight bitterness for an unexpected twist and an added layer of complexity. "Our customers want a flavor that is unique to their brand and identifies them," Sparks explains. "At David Michael & Co., we have internal teams that generate ideas through brainstorming sessions and unique flavor ideas based on consumer trends we feel will fit within a customer's product lines," says Kathy McNamara, senior flavor chemist for the Philadelphia company (www.dmflavors.com). "Typically, these are presented to the customer in a finished product. However, a customer might come to us asking for specific kinds of flavors." When this happens, she notes, the company considers the requirements before the development process begins. These may include target market, budget requirements, flavor functionality (solubility requirements, the processing it will undergo, etc.) and regulatory/labeling concerns (in what country it will be sold, labels such as natural or N&A, kosher, halal, organic, etc). These innovations are developed in several forms, from liquid to powder. Unique offerings from David Michael include Old Time Body & Age -- its first product to be added to young whiskey to impart an aged and mellow taste. It also produces exotics such as Hippophae, Graviola, Durian, Dragon Fruit and Monstera Deliciosa. "Our flavor library also includes ethnic-inspired blends like Garam Masala and Adobo Spice." The name FONA International Inc. has become synonymous with flavor as a supplier to the food and beverage industry. "Descriptors play a large role in the process" at FONA, says Dana Sanza, a flavorist in the Geneva, Ill., company's beverage business unit. "We will collaborate with the customer, discuss the flavor attributes they are looking for and develop a list of descriptors. Sometimes the target profile is very clear. Other times, we'll create a few flavors for them to sample and provide feedback on." Recently, a customer asked FONA (www.fona.com) to help concoct a tangerine orange flavor similar to one already on the market, but with juicier, fresher upfront notes. Through collaboration and understanding of the desired product, audience and positioning, FONA was able to develop a unique flavor that met that need, Sanza summarizes. Custom flavors "are always in demand, for a variety of reasons, the most important being the ever-evolving consumer palate, and a desire for new and exciting flavor experiences," McIntosh says. "Innovation can renew enthusiasm for even the most traditional flavors [such as White Cheddar Truffle, Macaroni and Cheese]." 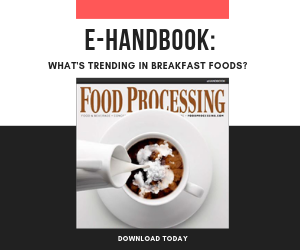 Demand is further influenced by market trends, such as interest in natural flavors or masking new ingredients, as well as advances in flavor technology and delivery systems, he explains. In addition, companies are required to meet evolving government guidelines and consumer demand for healthier choices. "We are often asked to create flavors that will work specifically in a food or beverage to mimic that which they've taken away or mask that which has been added," McNamara says. These targeted, custom-designed flavors have specific applications, she adds, such as potassium blockers for lower sodium foods, sweetness enhancers or astringency and bitterness blocking flavors for reduced- or no-sugar formulations and custom off-note masking flavors for value-added ingredients such as protein, vitamins and minerals. Although demand for custom flavors is on the rise, in general, "Different markets can take the process to one extreme or the other," Sanza points out. "For example, companies with a wide range of consumers may want to introduce a new flavor, but keep it low-key — mainstream with a slight twist." Meanwhile, she says, health and wellness-focused manufacturers have a niche market with more experimental customers and thus can be more daring. "They might want to develop an acai flavor with a more true-to-fruit flavor profile and promote the fruit's antioxidant properties, knowing their consumers will enjoy the exotic/health-benefit combination."